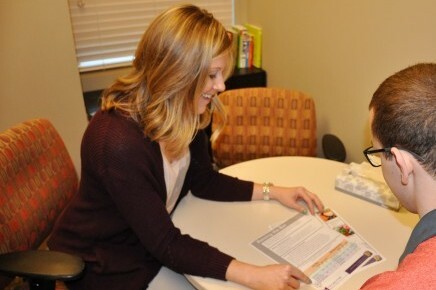 As part of Madonna ProActive’s integrative approach to healthy living, nutrition services are provided by a registered dietitian and licensed medical nutrition therapist. Let our dietitian help you discover how to properly fuel your health and fitness goals. Take your nutrition to the next level by working with our on-site dietitian to build a plan to help you reach your fitness goals. Individual sessions, offered at an additional fee, may include the following topics: Menu planning, weight loss/gain, sports nutrition, real meals/snacks, carb control for diabetes, pre-conception/pregnancy, eating disorders, emotional eating, digestive problems, celiac disease, and more. Madonna ProActive’s licensed medical nutrition therapist can help you with health concerns caused or affected by food. Individuals will receive an assessment, customized nutritional plan and monitoring. This program is for individuals who are preparing for weight-loss surgery. Consisting of a series of evaluations and a personal workout plan, the goal is to provide exercise and nutrition education while improving cardiovascular health in a supportive environment. Members enjoy free Nutrition "On the Go" education events at ProActive. The open-house style informational session is a perfect opportunity to increase your nutrition IQ in just a few minutes while giving you access to the expertise of a registered dietitian.